Divorcees Mary and Jo don’t trust their friend’s new dentist boyfriend. When his hygienist disappears, the vigilant duo fear impending danger and trade in their wine glasses for spyglasses. 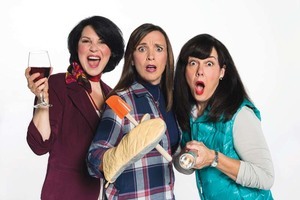 It’s Thelma and Louise meets First Wives Club in a hilarious comedy, WOMEN IN JEOPARDY! performed by Center Rep Company under the direction of Michael Butler. 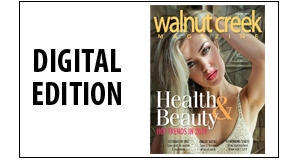 DETAILS: January 27 – February 25, Lesher Center for the Arts, WC, lesherartscenter.org. 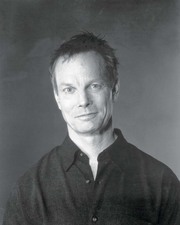 Tony Award-winning actor Bill Irwin’s long performance history of works by Samuel Beckett spans decades, including appearances On Broadway with Robin Williams, Steve Martin and Nathan Lane. Irwin brings his exhilarating solo show ON BECKETT, a blend of the actor’s work with his own unique style of clowning. DETAILS: Through January 22, American Conservatory Theatre, SF, ACT-sf.org. Celebrate the 20th Anniversary tour of Jonathan Larson’s RENT, the award-winning rock musical that changed American theatre with its universal message of hope and faith against the shadows of poverty, illness and the AIDS epidemic. DETAILS: February 7–19, San Francisco, shnsf.com. With a tiny speck of pixie dust, and a heart full of faith, Playwright J.M. Barrie ventures to Neverland, where nothing is impossible and childhood is eternal. 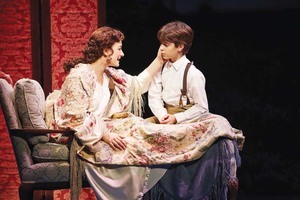 Based on the Academy Award-winning movie, FINDING NEVERLAND tells the incredible story of beloved Peter Pan. DETAILS: January 18–February 12, Orpheum Theatre, San Francisco, shnsf.com. Role Players Ensemble performs August Wilson’s Pulitzer Prize show, THE PIANO LESSON, a powerful drama about siblings who battle over their father’s heirloom legacy. Set in the 1930’s, this stirring drama sheds light on the struggles of the African-American community, and examines the history which shapes lives. 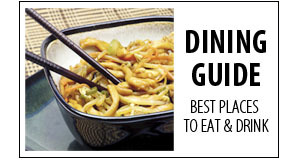 DETAILS: February 2-19, Village Theatre, Danville, villagetheatreshows.com. In this Bay Area premiere, a young American couple, enjoying a seemingly perfect ex-pat life in Paris, must answer questions testing the foundation of their relationship in the tense thriller BELLEVILLE. Directed by Amy Herzog, the play examines the role of privilege and the changing view of America overseas. DETAILS: Through January 28, Custom Made Theatre, SF, custommade.org. 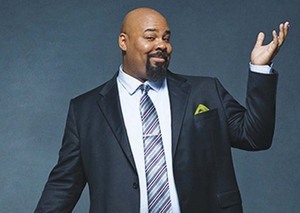 Feinstein’s at the Nikko partners with Lesher Center for the Arts to bring film star and Bay Area native, JAMES MONROE IGLEHART, to town for a one-night performance. Best known for his work as Genie in Aladdin, Iglehart was praised by the New York Times for the “strength and resilience of his robust baritone.” DETAILS: February 3, Lesher Center for the Arts, WC, lesherartscenter.org. FBI agent Clarice Starling is hot on the trail of serial killer Hannibal Lector in SILENCE! THE MUSICAL, an unauthorized parody of Silence of the Lambs. This irreverent comedy is narrated by a chorus of floppy-eared lambs at a toe-tapping hoe down. Hunter Bell wrote the book, with music and lyrics by Jon and Al Kaplan. DETAILS: January 26 - February 25, Victoria Theatre, SF, silencethemusicalsf.com. 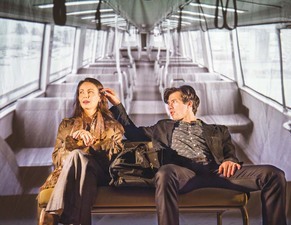 An all-too-witty playwright discovers his life is imitating art in Aurora Theatre Company’s THE REAL THING. Directed by Timothy Near, this timeless comedy examines the absolute chaos of love and the passions that blur perceptions. DETAILS: January 27 – February 26, Aurora Theatre, Berkeley, auroratheatre.org.